Two FCA US LLC vehicles were recognized within their segments as Autos del Año® (Cars of the Year) during the seventh annual Hispanic Motor Press Awards® (HMPA) at the 2016 Los Angeles Auto Show. The all-new 2017 Chrysler Pacifica earned top honors in the minivan segment and the Jeep® Wrangler 75th Anniversary Edition earned the award in the Adventure 4×4 segment. A committee of 16 Hispanic automotive journalists and influencers test drove approximately 100 vehicles for the 2017 HMPA Autos del Año. The jurors seek to find the single model in each category that is the best value in the market for Hispanic families. All facets of the vehicles are evaluated, including design, comfort, safety, economy, handling, performance, functionality, environmental requirements, driver satisfaction and value. Eligible vehicles considered for the awards must be all-new models and available to consumers in all 50 of the United States. This year’s panel of experts drove new cars throughout the year to evaluate the attributes best suited for the Hispanic consumer. The 2017 Chrysler Pacifica reinvents the minivan segment with an unprecedented level of functionality, versatility, technology and bold styling. Re-engineered from the ground up on an all-new platform, the Pacifica delivers class-leading gasoline and hybrid powertrains to the minivan segment. With more than 100 available safety and security features, the all-new Uconnect Theater rear seat entertainment system, and a full array of comfort and convenience technologies, the Chrysler Pacifica is a no-compromises minivan ideally suited for today’s families and has earned its spot as the most awarded minivan of the year. The iconic 2017 Jeep Wrangler Unlimited – the most capable and recognized vehicle in the world – features a standard eight-speaker audio system and an optional Premium Alpine Audio Package that includes nine Alpine speakers, a subwoofer and a 552-watt amplifier. The 2017 Jeep Wrangler delivers unmatched off-road capability with legendary four-wheel drive and is produced with more than seven decades of 4×4 engineering experience. Wrangler continues to offer a body-on-frame design, front and rear five-link suspension system, live axles, electronic lockers, and is one of the few mid-size SUVs that offer a six-speed manual transmission, in addition to its five-speed automatic. Since 1941, the Jeep brand shaped the automotive industry as we know it today. To celebrate this significant milestone, we’ve put together a list of ten models that made Jeep a household name. A brand linked to freedom, adventure, and high spirits, Jeep has this certain unwavering commitment of doing everything in its own way. The first glimpse of the “Go Anywhere. Do Anything” mantra came in 1940 when a freelancer called Karl Probst laid out the blueprints for a reconnaissance car in just two days. The Bantam Reconnaissance Car was born and good golly, the prototype met the U.S. Army’s criteria for a go-anywhere vehicle except for the engine’s torque. The Bantam Reconnaissance Car was further adapted by Willys-Overland and FoMoCo. The Blue Oval is to thank for the pressed-metal front grille design, while Willys deserves our praise for finalizing the 4WD reconnaissance car into what we refer to as the Willys Quad. The Willys MB would go into mass production in 1941, the year Irving Hausmann, a test driver on the Willys development team, coined the term “Jeep” during a press event in Washington D.C.
Over the course of 75 years, Jeep went on to prove that a badge is more than just the business card of a brand. If it weren’t for the MB and the civilian models that started production in 1945, we wouldn’t have had Land Rover, the Toyota Land Cruiser, and to some extent, Fiat Chrysler Automobiles. It’s necessary to mention that Jeep is the best-selling brand owned by the faltering Italo-American manufacturer. These said, let’s go through ten of the models that made Jeep… well, Jeep. “Genesis” is the word that best defines the Willys-Overland MA and MB. Instead of focusing on the pre-production MA, let’s fast-forward to the MB. After arduous testing, the U.S. Army awarded the contract for 16,000 examples to Willys in July 1941, at a unit price of 738 dollars and 74 cents. Accounting for the rate of inflation, that’s $12,025 in 2016 or less than the price of the cheapest car on sale in the U.S. today. Between 1941 and 1945, Willys-Overland and FoMoCo built a total of 637,385 military jeeps. The MB doesn’t hold the title for the first 4×4 vehicle ever made, but it influenced every 4×4 vehicle that came after. After the World War II ended and the United States got out of that horrible mess known as The Great Depression, peace ensued. Returning GIs had money to spend, the economy was flourishing, the automotive industry kept going forward. 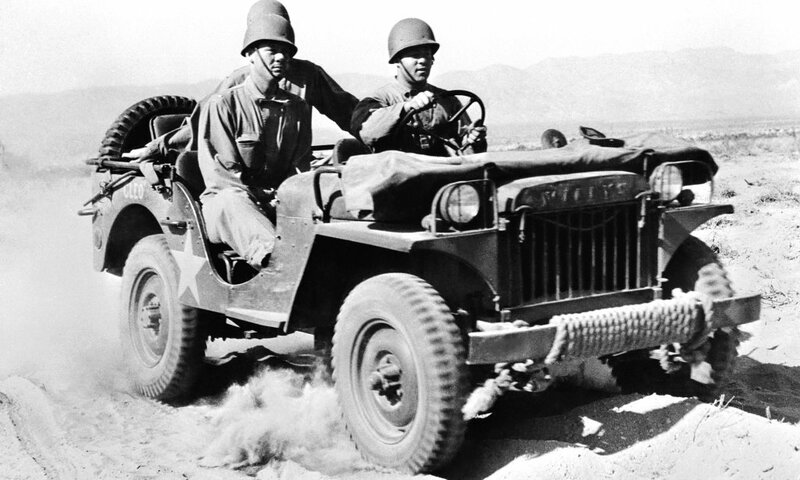 Given the circumstances, Willys-Overland adapted the military jeep into a civilian vehicle. 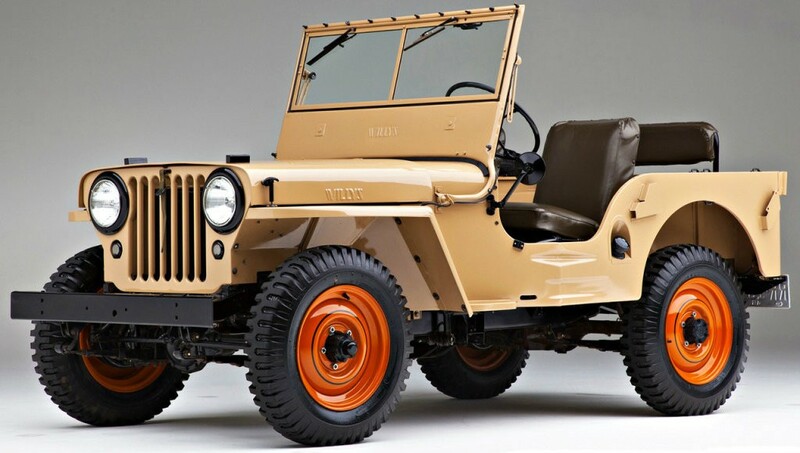 Thanks to a manufacturer’s suggested retail price of 1,090 dollars (approximately $14,490 nowadays) and strong product marketing, sales of the CJ-2A soared and America fell in love with the Jeep brand. The Station Wagon increased the popularity of the Jeep brand by reaching out to families and small businesses. The first all-steel station wagon developed as a passenger vehicle from the get-go ended production in 1965. That wasn’t the death of the Jeep Wagon, though. In fact, the last example of the breed was built in 1981 by Ford Rural in Brazil. In the United States of America, the start of production in 1946 coincided with the era that saw young families head for the suburbs. Willys really hit the nail on the head with the Jeep Station Wagon. The successor of the 1947 Willys-Overland Truck is the model that put Jeep on the pickup truck market in grand style. Introduced for the 1963 model year, the Gladiator was the first non-military design since the Station Wagon we’ve talked about beforehand. And it was a huge hit. Available in 120-inch J-200 or 126-inch J-300 forms, the Gladiator full-size pickup truck sold like hot cakes. Configurations were plentiful, the reason the Jeep Gladiator wooed some customers away from the more popular Chevrolet C/K, Ford F-Series, and Dodge D-Series. In total, the Gladiator came in seven configurations: Townside (wide box), Thriftside (narrow box), Chassis, Cab, Stake Bed, Wrecker, and Chassis Camper. Between 1962 and 1988, the utilitarian Gladiator changed its name to the J-Series, then to the Pickup, and it was built by four different outfits: Willys Motors (1962), Kaiser Jeep Corporation (1963 – 1970), American Motors (1970 – 1987), and Chrysler (1987 – 1988). The compact-sized Jeep Comanche pickup truck is to blame for the demise of the Gladiator. Most people tend to think that Land Rover invented the luxury SUV with the advent of the Range Rover in 1970. I’m sorry to burst these people’s bubble, but Kaiser Jeep is the pioneer of the said segment. 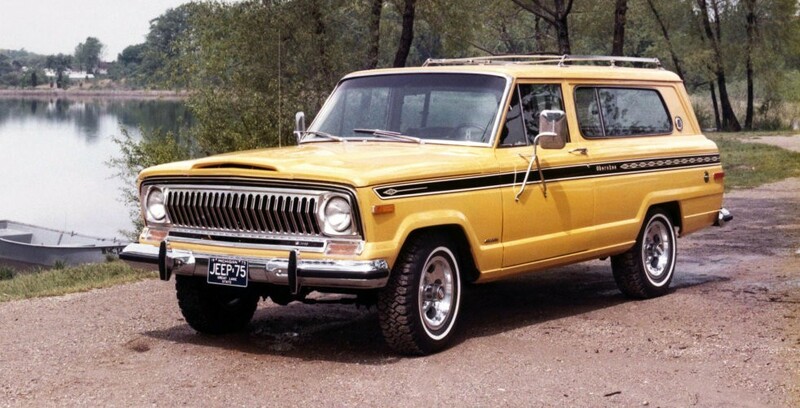 Three years after the Wagoneer was introduced, Kaiser Jeep introduced the Super Wagoneer. Sadly, the Super Wagoneer was an SUV before its time. The Kaiser Jeep Corporation produced around 1,200 Super Wagoneer vehicles because the world wasn’t prepared to understand that luxury can be intertwined with the capability of a sport utility vehicle. Compared to the Wagoneer, the Super Wagoneer boasted goodies such as air conditioning, a tilt steering wheel, power tailgate, power steering and brakes, and a push-button radio. Simply put, it was the bee’s knees. Standard equipment and the more refined powertrain made the Super Wagoneer incredibly pricey too. At $5,943, the Super Wagoneer was almost twice the money. The Wagoneer wasn’t exactly scanty, though. The bottom line is, the 1963 Jeep Wagoneer is the first car to match an automatic transmission to a 4×4 system. It goes without saying that this winning combination defined all sport utility vehicles ever since. For all intents and purposes, the Wagoneer was a recreational vehicle with a whiff of premium to it. Although based on the Wagoneer, the first generation of the Jeep Cherokee wasn’t a premium sport utility vehicle. It was developed to appeal to younger guns, those individuals who were driven to school by their parents in a Wagoneer in the swinging sixties. It was advertised as being sporty, albeit it definitely wasn’t. Heck, it even had bucket seats and a sports steering wheel. And yes, little things like these ensured the commercial success of the Cherokee SJ. Essentially the two-door sibling of the Wagoneer, the Cherokee leveled up to four doors by 1977, a change that prompted Jeep to rethink its model lineup. By 1984, the AMC did just that by downsizing the full-size Cherokee SJ to the compact-sized Cherokee XJ. Because of this, American Motors decided to rename the Wagoneer Limited to Grand Wagoneer, a little trick would keep the pickup truck-based SUV on life support until 1991. Dubbed “the gold standard of the SUV market,” the Grand Wagoneer couldn’t hide its age. When all is said and done, the Wagoneer family didn’t change too much from a mechanical point of view during its 28-year production run. A tell-tale example of the old-school approach comes from 1987, the year the Chrysler Corporation bought out AMC. Although Chrysler had a fuel-injected V8 at hand, Chrysler thought that it would be best to stick with the carbureted AMC V8 engine. Why? As the old saying goes, Chrysler was milking the cash cow. Alas, the Grand Wagoneer became one of the last vehicles sold in North America with a carburetor. This not-so-fun fact is even more ridiculous when you think that AMC offered electronic fuel injection in 1957 for the Rambler Rebel. All in all, the antiquated Jeep Grand Wagoneer embodies two extremes specific to the brand: defiance to the norm and cult following. With the demise of the Jeep Grand Wagoneer and the emergence of the Grand Cherokee, Jeep stopped making full-size sport utility vehicles in 1991. The CJ Series was getting long in the tooth by the time Falco released Rock Me Amadeus, Berlin took our breath away, and Madonna urged her papa not to preach. 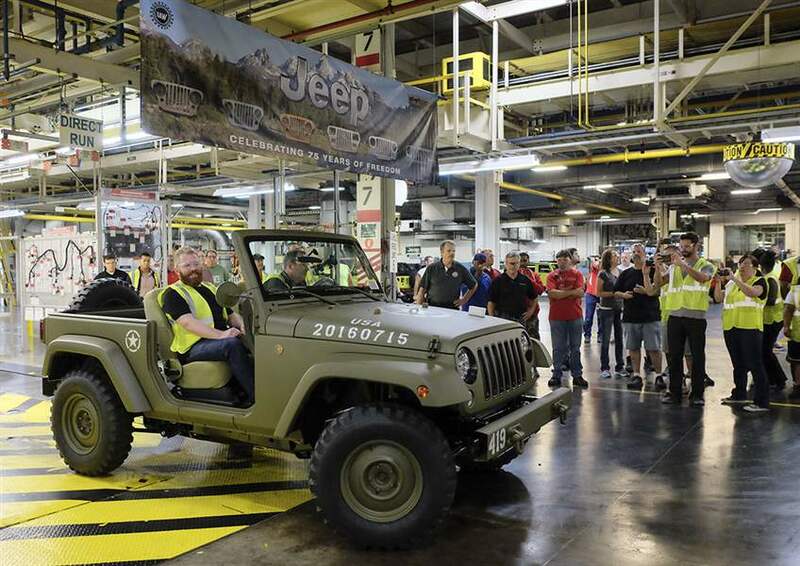 The last CJ-7 units ever produced came with a plaque that read: “Last of a Great Breed – This collectors edition CJ ends an era that began with the legendary Jeep of World War II.” The gap left by the long-lived CJ Series was filled by the Jeep Wrangler YJ. They do look alike, don’t they? Especially in the aesthetics department, there was little difference between the CJ-7 and Wrangler YJ. In spite of that, the millennial upped the ante with the suspension, drivetrain, and creature comforts of the Cherokee SJ. The modern hardware didn’t spell the end of the body-on-frame, rigid axles or fold-flat windshield. In a way, Jeep improved the recipe pioneered by the CJ with user-friendliness. The Cherokee SJ-CJ-7 mashup Wrangler YJ was superseded by the TJ in 1996, then by the JK in 2007. In the spring of 2017, the fourth generation of the Wrangler will start production. The heavily awaited Wrangler JL will introduce two never-before-seen things on a Wrangler: a gasoline-powered turbo-four engine and a hybrid powertrain. Oh, and another thing: the Wrangler JL will reintroduce the pickup truck body style. When Jeep smashed the Grand Cherokee ZJ through the convention center’s glass at the 1992 Detroit Auto Show, the automaker made it clear that the competition isn’t as grandiose or cool as Jeep. This PR stunt convinced other manufacturers to rush and imitate the mid-size luxury sport utility vehicle formula pioneered by the Grand Cherokee. The first SUV to be equipped with a driver’s side airbag isn’t as luxurious as Jeep wanted you to believe it was in 1992. A five-speed stick shift and cloth seats isn’t my idea of luxury. Nevertheless, the Grand Cherokee ZJ was an instant hit. It also won lots of awards from the motoring media, including the coveted Truck of the Year award from Motor Trend. The ZJ Series also spawned something called the 1993 Jeep Grand Wagoneer. Don’t be fooled by the name, though, because this isn’t anything but a top-of-the-line package that includes woodgrain trim and a 5.2-liter V8. Jeep will resurrect the Grand Wagoneer nameplate in 2018 for a luxed-up Grand Cherokee. With a bit of luck, the all-new Grand Wagoneer will be motivated by a 3.8-liter twin-turbo V8 from Maserati. Ah, the Renegade. Nevermind the fact that the platform the Renegade is based on was introduced in 2005 by General Motors and Fiat. Nevermind the fact that the Fiat 500X shares the underpinnings and the 101.2-inch (2,570 mm) wheelbase. As my colleague pointed out in his test drive of the Jeep Renegade, this thing makes you happy in a devil-may-care sort of way. The first subcompact-sized Jeep model isn’t a first for the brand, but a response to the Nissan Juke, Chevrolet Trax, Mini Countryman, and Renault Captur, among other cars of this type. Then again, the Jeep Renegade has more presence and a bigger appeal than its main rivals thanks to trademark design motifs such as the round headlights, military jerrycan-inspired X in the taillights, and, of course, the seven-slot grille. In Trailhawk form, the Renegade also walks the walk with best-in-class 4×4 capability. In the same way, the Levante is the Maserati of SUVs, the Renegade is the Jeep of subcompact SUVs. 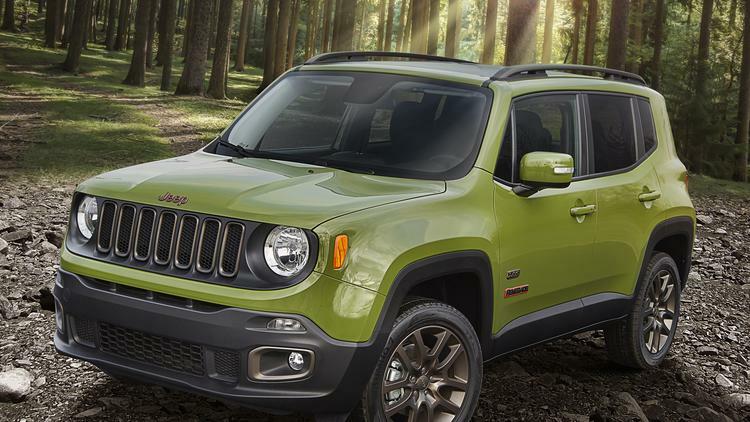 The Renegade might not appeal to diehard fans, but it’s definitely worthy of its Jeep badge.